Kids will use kid-safe knives to chop, will measure, pour, stir and learn all about food and cooking! Low key. 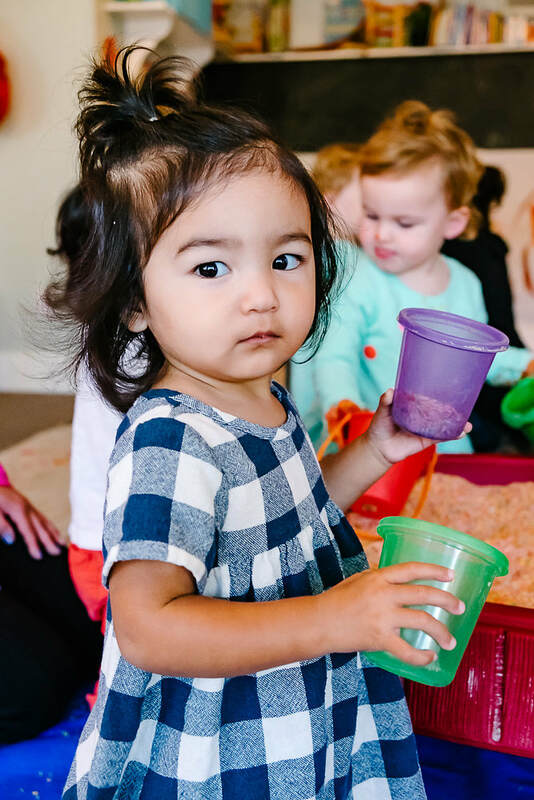 We encourage this class for older toddlers and preschoolers who are able to sit and listen to instructions. We often include a craft and story. Yoga for young children. Lots of movement - jumping, stretching and pretending to be animals! 18 mo - 5 years. Yes! Best for siblings in the designated age range, and babies under 1 who accompany older siblings are no charge. 6 weeks - crawling. Parents can bring babies before 6 weeks and we will help modify their practice. Twins are of course always welcome and caregiver can alternate between babies (or our instructor can borrow one!). No charge for more than one baby. 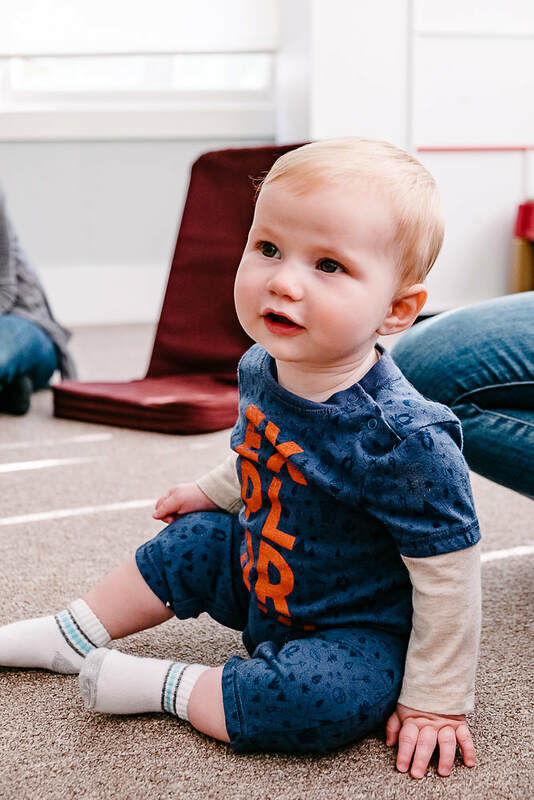 We will flow through stretching and poses, do infant massage and sing songs. Structured, but laid back. Diaper changes and feedings are always allowed. Moderate. Children with both low and high energy do well, and our instructors tailor the class to children's temperaments. 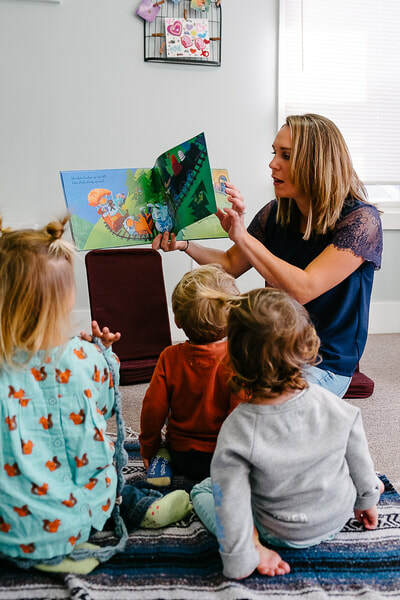 Circle time gets the energy out, activity time focuses the children on a task and we end with relaxing story and bubbles. We divide these classes into smaller age ranges to focus on different levels of development. 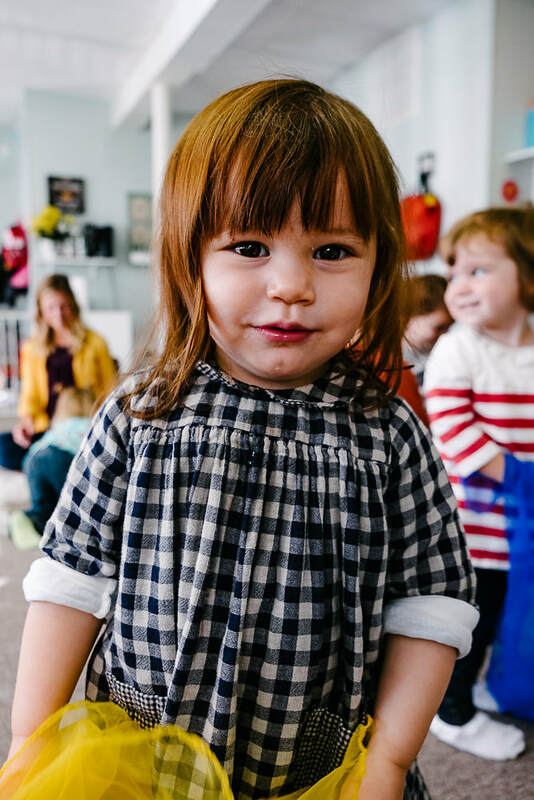 A healthy mix of structured circle time with loosely structured activity time. Each class follows the same format to establish routine, but children are allowed to explore freely. 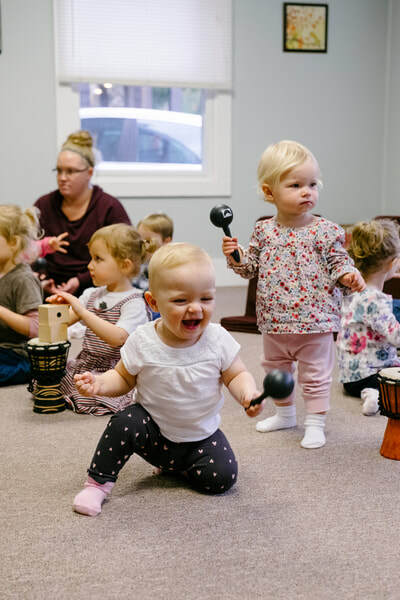 A first music class specifically for babies. We sing, do lap bounces, gentle movements for baby, play with age appropriate toys and props, introduce the parachute and wrap with a story and bubbles. Moderate. We have a lot of fun singing, clapping and bouncing around while incorporating gentle stretches and play for younger babies. This is a smaller age range, so not great for multi-age siblings, but great for twins! Fairly structured. 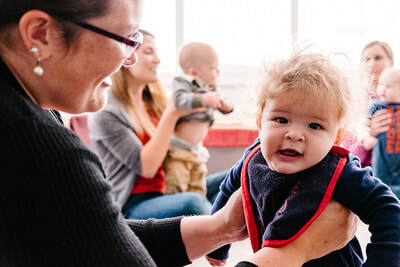 We move through a familiar routine of songs and play, but there is also plenty of time to chat and get to know one another. 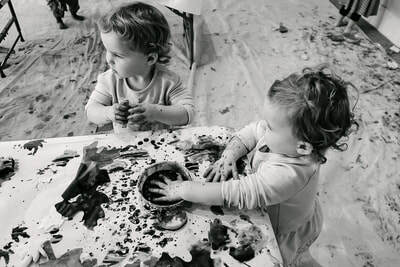 Beginning art class for toddlers. We paint, craft, glue, color, play with playdough and create! This class is about the process rather than the final product. Leave the mess to us! Low key. Children are free to explore the various art stations. We wrap up with a short circle time, story and lesson on that week's theme. 18 mo - 3+ years. If your child is slightly younger, but shows an aptitude for art and are not putting things in their mouths (paint, etc), they are welcome! Low. We do 30 minutes of free art play when the children can float between the art stations. We encourage the children to participate in clean up followed by a short circle time with story. 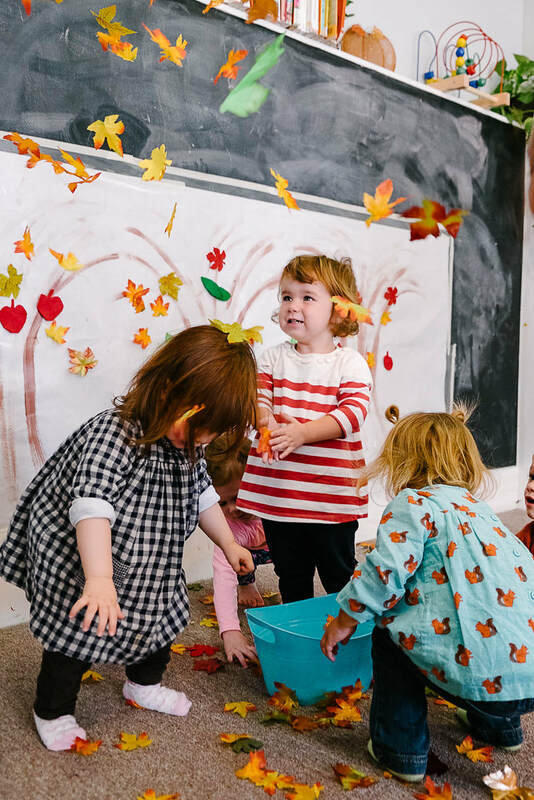 We add preschool skills to our art class with practice using scissors, more advanced crafts and more learning with each activity and theme. Low key. Children are free to explore the various art stations with a bit more instruction from the instructor. 3 - 5 years. "Almost 3s" are welcome to join. Yes! This class is great for siblings within the designated age range. If a 2 year old siblings would like to join the older children, that's great! Low. We start with a story and lesson about that week's theme, followed by various art stations and wrapping with another story. 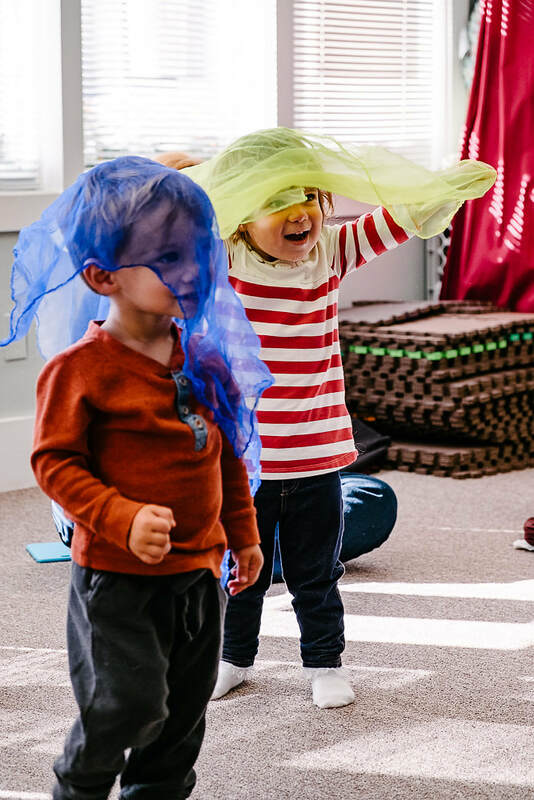 Music class that incorporates instrument play, scarves, puppets and parachute as the teacher sings and plays beautiful music from her guitar. 3 mo - 3 years. 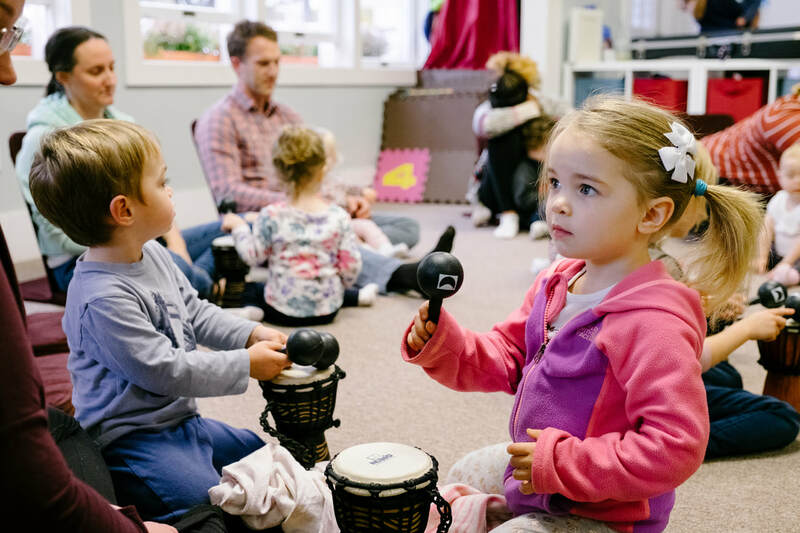 Babies of all ages can benefit from the music and watching the big kids sing and dance. Yes! Perfect class for siblings. Older siblings are also welcome to join! Moderate. Kids are free to explore the instruments and dance around. 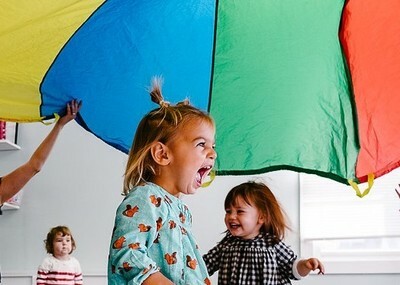 Like all of our classes, there is a comforting routine of songs followed by parachute play. 18 mo - 5 years. Our younger kids might take a few classes to warm up to the fast pace of the class, but they will learn a lot from the older children. Yes! The wide age-range and variety of activities makes a great class for siblings! Highly structured. Kids are free to dance and jump around as they please, but each song/activity is instructor-led. This is our wonderful, expert-led mom's group with a structured weekly topic. We are including expectant mamas in this group because we find that both expectant and new moms learn and heal from group discussion. Low. Come as you are. Come and let us hold your baby if you need to run and grab a coffee or even just lie down for a minute. 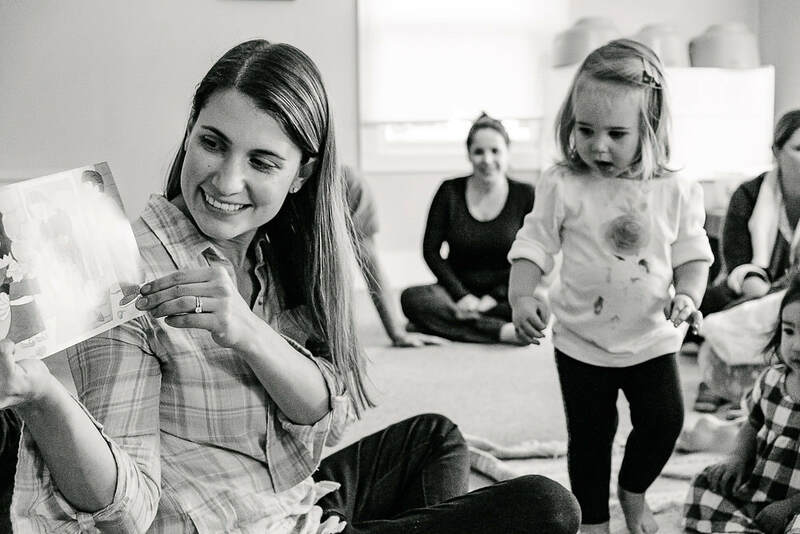 This is a relaxing atmosphere and we will help teach you tricks to comfort and sooth your baby. Pregnancy - 3 months (adjusted age as well) at the start of the session. This class is very age-specific, but great for multiples!